Aside from a lack of care or consideration for others, uninsured motorists and hit-and-run drivers are both attempting to get away with not taking responsibility for their actions. If an uninsured driver causes a car accident, he or she does not have liability coverage to pay for your injuries, so you have to go through your own insurance’s uninsured/underinsured motorist coverage, which may not offer you the amount of compensation you need to recover. 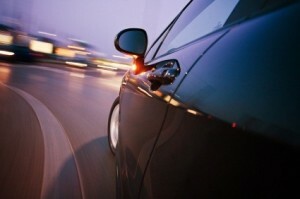 At that point, you may need to pursue legal action against the at-fault driver. In the case of a hit-and-run driver, who causes an accident and then flees the scene (which is against California law), you may also need to resort to your own uninsured/underinsured motorists insurance coverage to cover the losses related to injuries and/or property damage you have suffered. If the driver is never identified, your own insurance coverage would likely be your only option for compensation. Unfortunately, insurance companies, even your own, may be uncooperative. Additionally, the rules surrounding claiming compensation after a hit-and-run accident can be very complicated. Details such as whether the vehicle officially made contact or not can have an impact on your claim. As an experienced uninsured motorist attorney, Joseph H. Low recognizes how difficult it is to try to recover from undeserved injuries and losses when the other party is negligent and attempts to avoid responsibility. It is not fair and you deserve better, which is why Mr. Low is committed to doing his best to get you the money you need for recovery. To find out more about your legal rights and options, call our offices today at (888) 454-5569.